This product represents outstanding value for you. You simply follow our tutorials to set up your webinars and then manage them yourself each month. We have over 190 short video tutorials for absolutely every step in the webinar online presentation creation process! It's more help than you'll likely ever need - but we figured providing too much support was better than not enough! PLEASE ALSO SEE THE "AT-A-GLANCE" SUMMARY CHART AT THE BOTTOM OF THIS PAGE. PLEASE ALSO WATCH OUR SETUP DEMONSTRATION BY CLICKING ON THE DEMO TAB IN THE ABOVE MENU.. The ability to conduct automated presentations or automated online presentations or trainings up to 2 hours in length or more. For example, you could run 100's or more separate & unique online presentations each month. 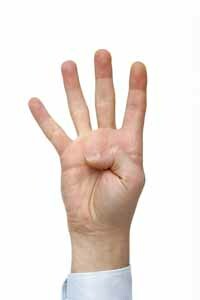 You could play each presentation up to 4X per day each for 30 days per month. 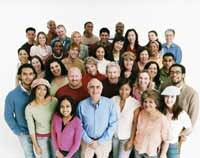 This would give you approximately 12,000 scheduled presentations every month: more than you will ever need! You have the ability to schedule an unlimited number of automated on-demand presentations each month. That would give you up to hundreds of additional on-demand presentations monthly. You have the ability to allow an unlimited number of replay presentations for each of your unlimted presentations, and that represents up to thousands of additional presentations each month. The advantage of having replays is that you can allow any prospective client or customer the opportunity to go back again and watch your presentation again. This can really help generate sales! Of course, it's all automated too! 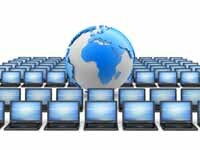 You may host of each of your webinars on up to 4 different domains that we provide you with. If your presentation has the feel of a seminar, or a sales presentation, or a business presentation, or training - then we have an appropriate domain for you to use that reflects that for you! You can keyword optimize of each of your webinar registration pages for each webinar. In other words, if your webinar is all about how to buy real estate for the least amount of money, then we give you an opportunity to use keyword optimized tags that will allow your presentation to be found in the search engines if you want that to happen. You have the ability to schedule each of your webinars based on your time, or the local time of each webinar attendee in any time zone. This means that each webinar registrant can reserve a seat to watch your webinar presentations based on their own local time zone. This is a great feature if you do business in different time zones. For example, if you are on the east coast (Eastern time zone) and you have prospective clients or customers on the west coast (or any other part of the world), then you can allow all of them to watch your 6pm presentation at 6pm in each of their local time zones. That is a free optional feature your webinar has the ability to execute for you! You have the ability to allow your prospective clients and customers to either reserve a seat for your upcoming webinar, or to immediately watch an on-demand presentation of your most recent webinar instantly. If a prospect of yours really wants to see your presentation NOW, then you can allow them to do that rather than wait. It just means that they will watch "the last most recent presentation" immediately. Wait until you see how we set this up for you! 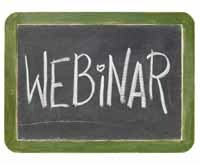 You have the ability to schedule each of your webinars daily, weekly, monthly and yearly. You can decide to have your automated presentations play every day or even multiple times each day. You can schedule them on one, or some, or all the days of the week - you pick! And, you can book your presentations to run on any schedule you want all year long. Plus, it is easy to modify or revise your schedule any time you want to do that! You have the ability to schedule multiple broadcasts - up to 10 per day. You can literally offer presentations every hour of the day if you want to - although that might look a bit like over kill. However, many of our customers will run 3 or 4 presentations each day. You can do it too! You have the ability to exclude any dates from your webinar schedule that you wish to exclude. (E.g. : Christmas, New Year’s, or any other dates you want to exclude). That means that you can set your webinar presentations up to run all year long and you can specify they do not play on any dates you wish to take a day off. You have total flexibility with your scheduling! You have the ability to block registrations for any webinar by up to 4 days. For whatever reason, you may wish to give the perception that your webinars are totally sold out 2 or 3 or 4 days in advance. You can do that with your presentation system. Plus, you can modify or amend it at any time you want! You have the benefit of choosing registrations pages that we create for you or you can choose to use ones that you create yourself. The bottom line is that your presentation software comes complete with all the online pages you need. You get a professionally made registration page, a thank-you page, a countdown page, and a webinar broadcast page (or room). You'll love the way they look, and you can even customize them. However, if you prefer to use your own pages (because you may already have pages you like), then our system lets you integrate your own registration page! You will see that we have thought of everything for you! 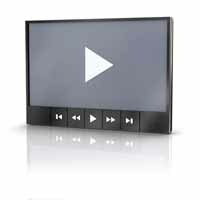 We create videos for you to use on your registration pages, or you can use images and graphics. There is no question that video performs incredibly well - and when done right, it out performs static text like crazy. But, if you prefer to use images & graphics then we allow you to do that. Be advised that if you want to use video and you are not comfortable with creating your own video, then we can do it for you. Just see our SERVICES PAGE by clicking on the appropriate tab on the menu at the top of this page! You can use exit splash pages with full audio so that if someone goes to leave or exit your page, a voice comes on offering them an incentive to stay. Here's what this means: if a person comes to your registration page and for some reason they decide to leave, then our system will automatically pull up what is called an EXIT SPLASH PAGE that will encourage the visitor to stay and continue to register. Plus, you can offer incentives to help them stay. You will see how this works when you start to use our system. Exit splash pages boost conversions really well, and we have included them for you in your webinar system! You have the ability to use SMS text alerts to remind your webinar attendees of their upcoming webinar time. Someone registers to attend your webinar coming up in 2 days. 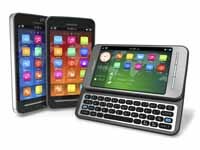 15 to 30 minutes prior to the webinar your system can send them a text message to their smart phone that not only reminds them of their reservation to watch your presentation - but it will provide them with ways to access the information they need to logon if they have misplaced it! You have the ability to use voice call alerts to remind your webinar attendees of their upcoming webinar time. In the same way as you can sent out SMS text messages, our system will allow you to send out voice messages to people's smart phones to remind them of their reservation to attend your webinar! Your prospective clients and customers really appreciate the reminder too! We create your registration thank-you pages for you complete with video and/or images - or you can choose to use your own. Once someone registers to watch your webinar, we instantly show them a short, fast video online that welcomes them on your behalf, plus it lets them know what is going to happen and how it will happen. Our system will encourage them to confirm their email our system sends out to them so they can be added to your list building efforts. In addition, it will let them know that their reservation details and access codes to your presentation have been sent to their email. It will also invite them to copy the information they see on the screen if they want to. It will even let them know they can leave their page open on their desktop and a countdown clock will be displayed showing the days, minutes and seconds that remain until your presentation starts. It's pretty high tech and it makes you look like a real pro! You have the ability to integrate custom bonus offers in your webinar. This is a powerful feature that your webinar system has that encourages people to share your webinar registration page with the people they know on Facebook, Google+, Twitter - and it also encourages them to let YOUR SYSTEM email people for whom they supply email addresses for (as referrals to you by them). If you want to offer webinar registrants of your presentation a bonus for engaging in this kind of activity, then our system lets you do that. Perhaps you want to let them download a 'dollars off coupon' or a 'discount coupon' for spreading the word about your presentation? You can also let them download anything from an eBook to a video. You'll love this feature and wait till you see how easy it is to set up! You have the ability to integrate and share your webinar registration pages on the Facebook, Google Plus & Twitter accounts of your webinar attendees. We mentioned this above. What we did not tell you was that it all happens automatically when your webinar attendees like or share your webinar with their contacts in the social media. We've made this function super easy for you to set up. Also, when they share your information with their friends in the social media, we've actually pre-typed their messages for them to make it easy for them to share what they will be doing by attending your presentation. Of course, they can edit it - but they will appreciate how easy your system has made it for them to tell their friends about your webinar! We provide you with a digital countdown clock for your webinar registrants that will count down the days & minutes to your webinar that your webinar attendees registered to see. We mentioned this earlier too. This looks really cool + it let's your webinar registrants know with precision exactly how much time remains until your presentation starts. If they come to your webinar early, it will display. If they leave it open on their desktop, it will countdown to the second that your webinar starts. We provide you with your own broadcast room and broadcast page to run your webinars on, and you may customize the color and layout. When people some to your online presentation, they will see a professional broadcast room on their computer screen. The interface will not only display your webinar presentation, but it will also run any polls that you wish to conduct in real time during your presentation (and it will tabulate the results). Your webinar attendees will also be able to participate in the polls and you will get copies of their responses too! In addition, your interface will display an attendee list if you want it to do that. You can have a live chat box display on the screen for people to ask live questions - and that will only display on the screen if you authorize it. Likewise, you can have an email tool display on the screen that will let your webinar attendees send you instant emails too where you can answer any questions they have about you, your product and/or your service! You have the ability to allow webinar registrants to join your webinar late by jumping the presentation forward to a time that you pre-select in order to give the feel that it is a live presentation. What this means is this: it is important that your webinar starts on time even though it is automated. If a person arrives late, our software will automatically have the webinar jump forward to a time that you pre-select so it appears that the webinar is in already in progress as the 'late-comer' arrives. Of course, you can jump it forward to any point you want to ensure the late webinar registrant does not miss any important stuff you want to share with them. 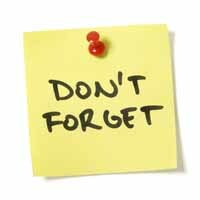 Remember too that the webinar replay will always allow them to go back later and watch again if you permit that to happen! You have the ability to redirect your webinar registrants to either a future webinar or a replay webinar if they arrive at a time you consider is too late to join. If a person arrives 'way too late' then it would not seem real to have the webinar start from scratch. As a result, we've programmed your software to let the 'really late late-comer' either watch a replay of a past webinar NOW, or they can reschedule to watch a future event. All of these options will pop up automatically on the screen for them to see! You have the ability to redirect your webinar attendees to your website or any other website you want to redirect them towards at the end of your presentation. This means that once your presentation has come to an end, every webinar attendee from your presentation will be 'catapulted' to your website or any page you choose to redirect them towards. The benefits are obvious because they just finished watching your presentation and should likely be very receptive to checking your website out if they haven't done so already! Remember that this feature is in addition to the 'call to action buttons' that you can have appear during your presentation at the times you pre-select. 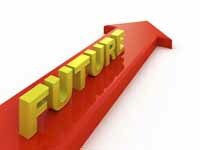 You have the ability to incorporate fully functional delayed events into your webinar at the time or times you select for them to appear on your webinar attendee's computer screen as they watch your webinar. 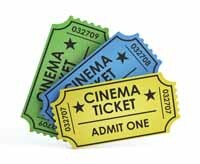 For example, you have the ability to display functional "buy now" buttons, or "add to cart" buttons, or "take a test drive" buttons, or "download now" buttons, or "subscription" buttons, etc. inside your presentation. The beauty of this is that you can decide the precise second that these call to action buttons appear in your presentation. And, these buttons are fully clickable too which means that you can generate sales directly from your webinar presentation! You have the ability to incorporate fully-functional delayed events into your REPLAY presentations too. Not only can you have delayed events in your automated presentation, but you can also have them appear and be fully functional during your webinar replays too! We've taken every step to ensure that your system can create sales and profits for you from every angle possible! You have the ability to conduct polls and have polling questions relevant to your product or service displayed during your webinar, where your webinar attendees can actively participate and even watch the tabulated results of these polls that you will design in advance of your webinar. > "Do you currently lease or did you buy your vehicle outright?" > "I own my vehicle, and I am in the market for a new one"
> "I own my vehicle, and I am not in the market for a new one"
> "I lease my vehicle, and I am in the market for a new one"
> "I lease my vehicle, and I am NOT in the market for a new one"
You have the ability to display or hide the attendee list (the list of names of all the people who registered to watch your webinar) to all webinar attendees throughout the presentation. Note also that we give you an opportunity to integrate a 'simulated' attendee list with your 'real' attendee list in order to make your webinar appear really full at all times. The benefit is powerful: have you ever walked into an empty restaurant VS. walking into a full restaurant? The perception is that the busy restaurant had better food and was more enjoyable because it was busier. We give you the ability to use simulated names in conjunction with your real names in order to enjoy this same benefit! Keep in mind that your 'real names' will always appear at the top of the names list (if you choose to display it) so that the real attendees can see their names as they watch your webinar. 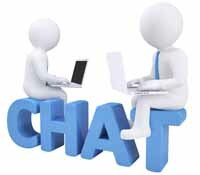 You have the ability to chat live or conduct live Q&A even if you are NOT on the webinar itself by using your choice of live chat software and/or instant email software or both. A great benefit of automated webinars is that they work for you automatically even when you are not present! However, if you wish to take questions in real time from people then you can use the LIVE CHAT function! The cool thing is that you can be anywhere to take questions live and in real time - the only thing you need is an internet connection or a smart phone! 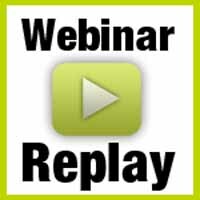 You have the ability to allow attendees of your replay webinars to send you messages with their questions even though they are watching a replay event. If you did not want to do the live chat feature, then you can use the instant email feature in order to allow people to send you their questions! You can decide to take the emails one at a time, or you can decide to have your webinar system email you all the questions at one time once the webinar is over! 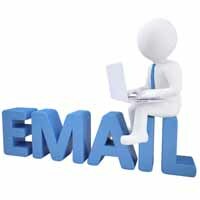 You'll get the names and contact information from every person who sends you email! This is a great tool to enhance and improve your follow-up activities! You have the ability to integrate your own auto-responders into your webinar presentation system in order to drip and follow-up with your webinar attendees after the presentation is over. If you use a major auto-responder like Get Response or aWeber, etc., then you can integrate your auto-responders into your webinar system. The cool thing is that we'll help you build your list by linking your auto-responders to your webinar registration page so that you can capture all the contact information of people who register to watch your presentation! 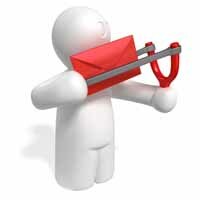 List building is critical, and we are set up to help you explode your list building efforts! 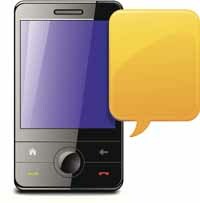 You have the ability to use SMS text messaging to follow up on your webinar attendees after your presentation is over. In the same way as your webinar system allowed you to use SMS text messages to remind your webinar registrants to attend your webinar, you can use SMS text to follow up on your webinar attendees once the webinar presentation is over! This means that you can text follow-up messages to people's smart phones in order to initiate effective follow-up after your presentation is complete! This is a powerful tool for making sales! You have the ability to use Voice messaging to follow up on your webinar attendees after your presentation is over. So, just as you can follow up with SMS text messaging, you can also follow-up with voice messages that can be sent to the smart phones of your webinar attendees too! As with SMS text, this is extremely powerful, and if webinar attendees provided you with their contact info, then you are GREEN FOR GO in terms of being compliant with do not call lists! This is also a very powerful sales generating tool! You have the ability to use our "built-in notifications" to REMIND people of their UPCOMING WEBINAR at the times you select PRIOR TO THE START of each webinar (for example: 15 minutes before the event is due to start). This is not email; these are notifications that come from our system, and they are created based on which of your webinars the prospect reserved a seat so they could watch your presentation. 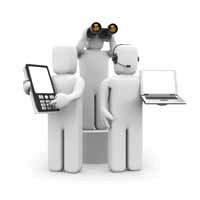 With this feature, the chance of a webinar registrant missing your webinar is minimized! You have the ability to use our "built-in notifications" to FOLLOW-UP with people AFTER THEY HAVE WATCHED your scheduled presentation at times you select in advance (for example: 30 minutes after the event is over). These notifications come from our system based on your webinar that the prospect reserved as seat for in order to watch your presentation. The chances of you missing a timely follow-up opportunity are virtually eliminated because of this feature! 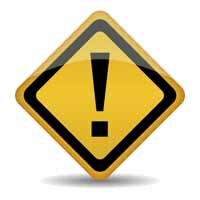 You have the ability to post disclaimer messages in the footer sections of any or all of your webinar broadcast pages, including: your webinar registration page, your webinar thank-you page, your webinar countdown page, your webinar LIVE page, and your webinar replay page. You should know if the industry you are in requires you to make disclaimers on your marketing. 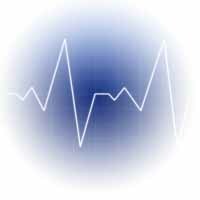 For example, a nutritional company may have to make a health disclaimer that their products to not treat, heal or mitigate any disease conditions. A network marketing company may have to also make an income disclaimer that they do not warrantee or guarantee any statement of earnings. A stock broker or financial planner may also be required to make disclaimers based on the financial products they market, etc. We make it possible for you to include any disclaimer you wish to use in your webinar templates and pages. You have the ability to run Google Analytics on all the pages of your automated webinar system. The benefit of this is that these metrics will show you how many visitors came to your pages, where they came from, for how long they stayed, etc. This type of information is invaluable to you because it lets you know who well your marketing is performing! You have the ability to preview your registration pages, thank-you pages, and live pages prior to each webinar in order to see what they will look like once your system goes live. This means that before you go live, you have an ability to see exactly what all your webinar pages look like. You have the ability to come back and modify or edit any webinar you create. If you wish to modify any aspect of your system, we've made it really easy for you to do that! In fact, because of the way we've created our software, you can go in and modify any one single element of your webinar setup while leaving the rest of the setup intact. This will save you time and money and make your efforts more efficient. 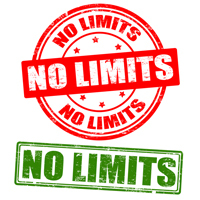 That means that you have unlimited bandwidth each month for an unlimited number of webinars. Keep in mind that if you do decide to use YouTube for your video hosting, that you will want to upload your videos with an "unlisted" setting. Setting your video to "unlisted" will make it impossible for people to find your webinar presentation in the search engines. Note that this is different that allowing your registration page to be found in the search engines because you may wish for that to happen. The point we are making here is that your actual webinar itself will not be able to indexed or searched in the search engines. Remember too that if you want us to create and upload your webinar for you because you are not comfortable with creating webinars - that we can do that for you. Just click on our SERVICES TAB in the menu at the top of this page to get additional details. Remember also that if your business is a business opportunity or affiliate product that YouTube has very stringent rules regarding those business models, and as a result you may want to look into Amazon EZS3 for your video hosting. It is a super cheap service and very dependable! We can tell you more about that if you want information on it! 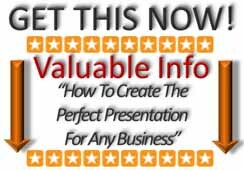 Best Presentation On Earth helps you to increase profits & decrease overheads by automating your online presentation process. We provide any business or online marketer with feature rich, 100% customizable & fully automated online presentation software.